The Mortgage Forgiveness Debt Relief Act became law on December 20, 2007. The purpose was to give relief to homeowners that had been foreclosed on, did a short sale or had a modification that included a reduction in principle and owed taxes on the forgiven amount. The act extended this for three years and was applied to debts discharged in 2007 through 2009. The Emergency Economic Stabilization Act of 2008, extended this for another three years, covering debts discharged through calendar year 2012. The Internal Revenue Service sees debt that is written off as income. Once the lender writes off the debt, it will report the amount to the IRS. Homeowners should expect to receive Form 1099-C showing the canceled debt amount. The Mortgage Forgivness Debt Relief Act changes that. The homeowner will not be taxed on the forgiven amount. All taxpayers will get the 1099 C form in the mail if they had debt canceled. The exemption applies only to debt related to a primary home. Mortgages on vacation and rental properties are not exempt under the act. Homeowners who did cash-out refinances and used the money for any other purpose than fixing up their house could still be on the hook for forgiven debt. Since the signing of the Mortgage Forgiveness Act, amendments have been made to remove such tax liability and allow the borrower and lender to work together to find a solution that is beneficial to both. This protection is limited to primary residences -- rental properties are not eligible for relief -- Consult with a tax advisor to ensure that you qualify before going forward with a short sale. The Mortgage Forgiveness Debt Relief Act has been extended for another year. The measure will continue to exempt from taxation mortgage debt that is forgiven when homeowners and their mortgage lenders negotiate a short sale, loan modification (including any principal reduction) or foreclosure. If you have arrived at this page then I am guessing that something has gone terribly wrong and you can no longer afford to stay in your home and are considering a short sale. Before you go any further make sure that you have exhausted all other options and that a loan modification is not possible or isn’t something you are interested in. Talk to an attorney and/or your tax advisor and understand what a short sale will mean to your financial future. It is often a difficult, long and nerve-wracking process but if you are successful, the difference between what you sell the house for and what you owe on the house is forgiven. You’ll also avoid a foreclosure on your record. Your first step should be to call me.It is important to have a Realtor® on your side that understands how the process works. You basically have one shot at this and it has to be done right. Banks don’t leave room for mistakes or inexperience and if it isn’t done properly in the time frame the lender sets out you may be heading for foreclosure. So even if Real Estate Agent Sue is your good friend if she hasn’t done short sales before then she is not the person for the job. I am HAFA Certified and hold the SFR Certification from the National Association Of Realtors. 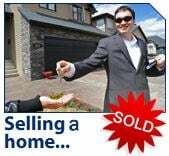 Our team consists of Myself, Todd Riley (Realtor, CPA) a short sale negotiator who’s job it is to talk to the bank so you don’t have to, an escrow officer that has handled 100s of short sales and will make sure all the t are crossed and all the I are dotted. We will be able to deal and negotiate with the lender(s) on your behalf and give you a much better chance of successfully short selling your home. This is not something you want to navigate on your own and the best part is that we are paid for by the bank. If you are behind on your payments then don’t wait any longer to list your home, hesitation takes the choice away from you and into the hands of lender. Short Selling is usually a better choice than foreclosure! We will get the house ready to sell. Pricing is very important because we don’t have the luxury of sitting on the market. I like to price the house a little on the low side to encourage multiple offers. This way the bank can see that we did our best to get fair market value. It can take the bank months after receiving an offer to actually say yes and time is not your friend. Once we have come to an agreement with the bank then the process is not much different than a regular sale except that the time frames are set in stone. The bank does not like to give extensions and usually the property will close escrow within 15 – 30 days of Bank acceptance. Don’t wait until the last minute to find a new place to live. You have probably been on an emotional roller-coaster for the past year or so and you don’t need the added burden of having nowhere to live. If you, like millions of others, have found yourself in the unfortunate situation of having to decide whether to short sell your home or be foreclosed on please use the form below to contact Heather and Todd right away. We may be able to help. No action takes the choice away from you. All inquiries are strictly confidential. We respect your privacy.